With 5G standards not yet established and commercialized networks expected in 2020, Ericsson (NASDAQ:ERIC) is already demonstrating fundamental 5G functionality that will be critical to enabling widespread adoption for both consumer and machine-type communications (MTC). Following on impressive speed test results, where the Ericsson 5G radio test bed topped 5 Gbps throughput, two new technology milestones have been demonstrated, and will be featured at MWC 2015: 5G-LTE Dual Connectivity and 5G Multipoint Connectivity. 5G-LTE Dual Connectivity: The 5G mobile device moves between LTE and 5G radio access coverage areas, establishing simultaneous connections with both networks before seamlessly handing over. 5G-LTE Dual Connectivity will enable 5G networks to provide multi-standard and multi-band support in both devices and radio access. 5G Multipoint Connectivity: The 5G mobile device connects to two 5G base stations simultaneously, improving bit rate performance through multiple downlink streams, as well as signal strength and resilience. 5G Multipoint Connectivity will be key to supporting multi-layer networks consisting of both macro and small cell coverage. Ken Rehbehn, Principal Analyst at 451 Research, visited Ericsson's 5G radio test bed in January and says: "With plans for high data rates, low latency and extraordinary device scale, 5G is a critical next step in mobile radio technology. 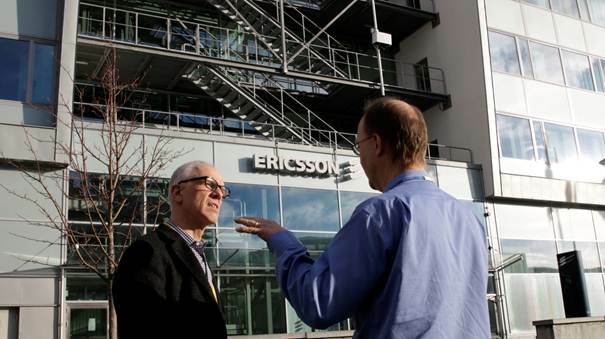 Having the opportunity to visit Ericsson and see the company's 5G efforts coming to fruition boosts confidence that industry players are tackling this important challenge with energy and imagination." 5G will impact the entire mobile network and associated eco-system, from devices to radio access, IP core and into the cloud. From a radio access perspective, 5G will encompass an evolution of today's LTE technology and the addition of new radio access technologies, often in higher frequencies. Tight interworking between different frequency bands, technology standards and network layers will be critical to ensuring seamless connectivity for billions of connected devices, machines and things, supporting consumer, business and industrial applications. Arun Bansal, Senior Vice President, Head of Business Unit Radio, Ericsson, says: "The Ericsson 5G radio test bed is where innovation meets implementation. It certainly is a reflection of our commitment to 5G technology leadership but it's also where we test and expand the limits of how mobility will transform society." Ericsson's 5G radio test bed, including both 5G devices and 5G radio base stations operating at in the high frequency 15 GHz band, and technology demonstrations will be featured in the Ericsson stand at MWC 2015 in Hall 2, Stand 2N60.